I first encountered Ryunosuke Akutagawa last December when I read the story Hell Screen as part of my story-a-day advent challenge. Encouraged to explore his work further, I somehow managed to avoid the most obvious path (acquiring one of the many collections of his short stories available in English) and turned to his short novel Kappa. 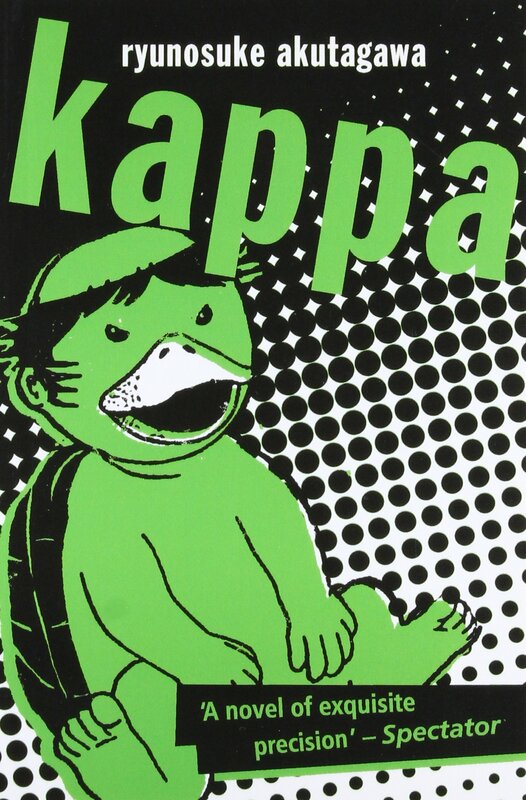 Kappa has been described as “Japan’s first full-blown dystopian novel” and certainly shows the influence of Jonathan Swift’s Gulliver’s Travels. Ryunosuke wrote it shortly before his suicide in 1927, saying, “Kappa was born out of my disgust with many things, especially with myself.” The story is presented as told to the author by a patient in an asylum, a narrative framework which had personal resonance for Ryunosuke given his mother’s mental health issues and his own resultant fear of insanity. Kappa is the work of an imagination both wild and fierce. (Take for example, his description of Kappa birth where the unborn Kappa in the womb is asked if he or she wishes to be born). While Ryunosuke’s short stories will no doubt remain his most famous work, this is a fascinating foot-note. You are currently browsing the archives for the Ryunsuke Akutagawa category.